The words holistic and organic are probably familiar to you. They might conjure visions of doctors’ offices with dim lighting and incense or fresh fruits and vegetables, but do they make you think of a visit to the dentist? Maybe they should. Dr. Fred Dreher of Ballston Spa, NY is a committed, professional, holistic and organic dentist. 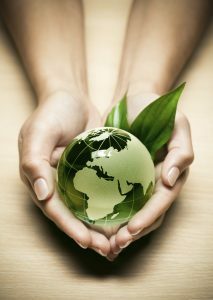 All of the dental services offered by our practice are environmentally conscious and take into consideration our patients’ whole-body health. If you are interested in finding out more about our numerous services, call us today to schedule an appointment. A current buzz term in dentistry is “mercury free,” but what does mercury have to do with dentistry? Metal or amalgam fillings are made up of 50% mercury. Mercury is a highly vaporous element when exposed to oxygen. The tasteless, odorless toxin can then be inhaled for years without patients noticing. As the most toxic non-radioactive element inhaling mercury is said to adversely affect the immune, cardiac, respiratory, urinary and digestive systems. The adverse affects of mercury are cumulative. If you have ever heard the old story about the frog in the frying pan, you probably have a good idea what cumulative toxic effects can do. The story about the frog is that, if you put a live frog in a frying pan and gradually raise the heat, the frog will not jump out. The gradual accumulation of heat is deadly to the frog. While the accumulation of mercury in the system may not lead to death, it often affects your health so subtly that it goes unnoticed until the damage is severe. Dr. Dreher is a member of the International Academy of Oral Medicine & Toxicology (IAOMT). IAOMT is the first resource for information about the push for mercury free dentistry. As a member committed to lifelong learning, Dr. Dreher has continued to work with IAOMT to gain the most up to date information on safe removal and replacement of mercury fillings, and environmentally safe ways of disposing of the extracted toxin. If you’re considering removing amalgam fillings, Dr. Dreher is here to help you make an informed decision. If you’re concerned about the potential health risks associated with amalgam fillings, our practice offers state of the art technology, superior safety precautions and a doctor who is an expert in the field of mercury-free dentistry. Our state of the art mercury removal begins with your comfort. You can relax with a choice of music, imagery and other relaxation techniques. Our high-speed suction is makes the process fast and comfortable. An advanced mercury separator ensures that no mercury enters the water supply. Our up to date technologies are used to protect our patients while they’re having filling removed. The teeth are isolated from the surrounding teeth to avoid cross contamination, and you are protected from your head to mid-calf. All of these luxuries are provided to you by a dentist who is a mercury-free dentistry expert. Don’t put yourself at risk. The adverse affects of mercury can be avoided. Dr. Dreher is here to help you every step of the way. Start down the path to your mercury-free life today by scheduling a consultation with our office. The convient We serve patients in Ballston Spa, NY, as well as the surrounding communities of Saratoga Springs, Watervliet, Schenectady, Cohoes, Gloversville and Glens Falls.